If your Thanksgiving turkey is chillin’ in the freezer, you are going to need to make some plans in the next several days to start defrosting it. The method you choose, and the size of your bird, will determine when you need to commence the thawing process in order to guarantee you won’t be left with a turkey-bowling ball on the big day. 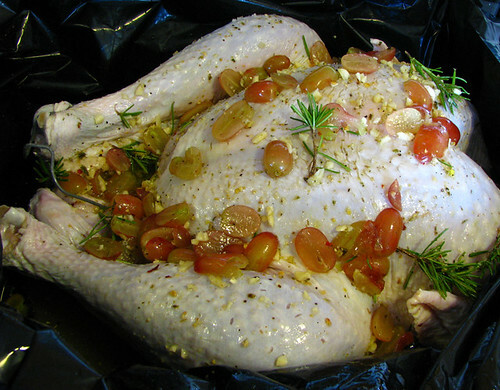 When defrosting your bird, it is critical to follow strict guidelines so as to not poison yourself and your guests with some bacteria borne illness. Personally, I don’t like the microwave method because the turkey usually starts to cook in the process. So, I try to follow one of two thawing procedures, the Refrigerator Method (the slow, and best way) or the Cold Water Method (the quick way). Whichever way you choose to do it, DO NOT just let it defrost on your countertop … you’ll be inviting food-borne illnesses to your Holiday meal. Make sure the turkey is in leak-proof packaging … they absorb water like a sponge. Cover the turkey completely in cold water. Be sure to change the water every so often and allow about 30 minutes per pound when thawing a turkey this way. 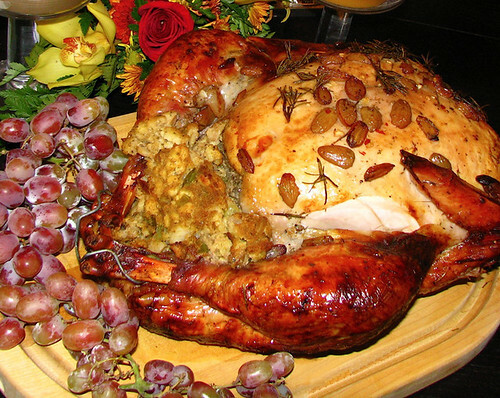 This entry was posted on November 16, 2012 at 1:01 AM	and is filed under Holidays, Thanksgiving, Tools & Tips. Tagged: bird, cold, cold water method, cooking, defrost, defrosting, dinner, food, frozen, method, refrigerator, thanksgiving, thanksgiving turkey, thaw, thawing, thawing a turkey, turkey, water. You can follow any responses to this entry through the RSS 2.0 feed. You can leave a response, or trackback from your own site.